In the parliamentary breakfast, EconPol Europe researchers discuss recent convergence trends within and across EU member states and the strengths and shortcomings of current reform proposals to incentivise structural reforms with Members of the European Parliament. 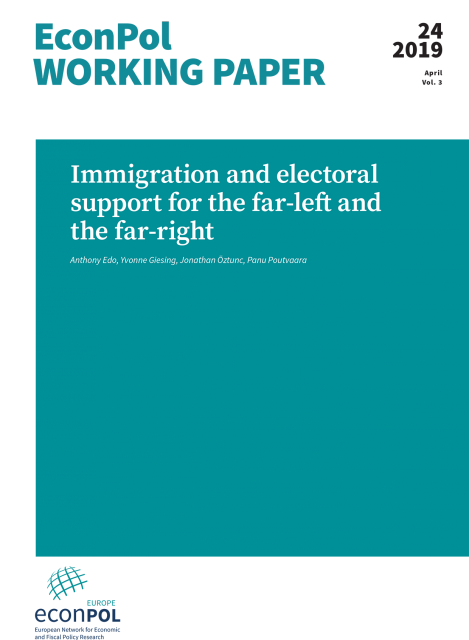 Immigration increases support for far-right political candidates and reduces support for far-left candidates, with areas with low-educated non-European immigrants providing the biggest boost to the far-right. These are the conclusions of a paper released by EconPol Europe. In the paper, forthcoming in the June issue of the European Economic Review, researchers examined to what extent changes in immigration and trade patterns explain voting for far-left and far-right candidates in French presidential elections from 1988 until 2017. They control for the effects of changes in unemployment, education, and demographics.